With California Chrome contending to become the first Triple Crown winner in 36 years, the world's most famous horse (ATM) will look good getting into the gate thanks to a new sponsorship deal. In what is reported to be the biggest horse racing sponsorship since UPS and Big Brown, California-based apparel maker Skechers will brand the trainer and owner team jackets, caps and apparel as well as California Chrome’s horse blanket, gear, barn and related promotional events. Chrome joins Meb Keflezighi, Joe Montana, Mark Cuban, Pete Rose and Joe Namath as brand ambassadors for the Manhattan Beach, California company. Meanwhile, at least one other brand has jumped on the bandwagon. GSK's Breathe Right nasal strips has inked a partnership with the horse after it was announced that Chrome would be allowed to wear nasal strips at Belmont this weekend. What do you think of this deal? 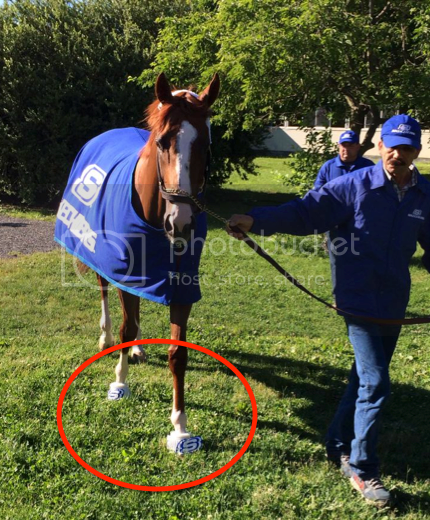 For brands, is a last minute bet on California Chrome worth a gamble?